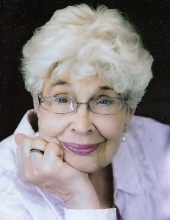 Elizabeth C. Missimer Collier, 90 of Akron formerly of Coatesville died Wednesday, January 30, 2019 at Lancaster General Hospital. Born in Coatesville, she was the daughter of the late Joel and Hester Krop Missimer and the wife of the late Donald F. Collier with whom she shared 48 years of marriage before his death in August 2000. Betty was a member of Akron Church of the Brethren where she sang in the choir and was a member of the Ugly Quilters. She was a former member of Olivet United Methodist Church, Coatesville. Betty was a 1946 graduate of Coatesville High School. Betty worked in the Cafeteria of Gordon Middle School and Benner Elementary School for many years. Betty is survived by her two sons, Charles Collier of Newtown and Craig Collier of Michigan; two grandchildren: Robert Michael Adamson and his wife Samantha and Katherine Alexandra Adamson and her husband Simon Coddington; and one great-grandson, Robert Maxwell Adamson. In addition to her husband, Betty was predeceased by her daughter, Cheryl Adamson. Betty’s funeral service will be held Monday, February 4, 2019 at 12 noon at Wentz Funeral Home 342 E. Chestnut Street, Coatesville 610-384-0318. Visitation will begin at 11am. Memorials in Betty’s honor may be made to Alzheimer’s Association 399 Market St. Suite 102, Philadelphia, PA 19106. To send flowers or a remembrance gift to the family of Elizabeth C. "Betty" Collier, please visit our Tribute Store. "Email Address" would like to share the life celebration of Elizabeth C. "Betty" Collier. Click on the "link" to go to share a favorite memory or leave a condolence message for the family.